I’m building an Electric Ukulele and I promised to keep you up-to-date with progress. Today’s post covers the work I’ve done to create a pattern for my build. It became clear pretty early on that the first thing I needed to do was to decide on the scale length for my Ukulele. 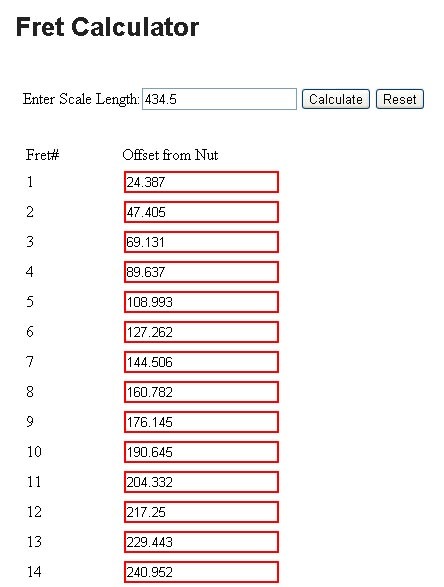 The scale length measures the distance between the nut and the bridge. Here’s a table giving you a feel for the main Ukulele scale lengths. I decided a long time ago that I wanted to make a Tenor. Once you know the scale length, the rest is pretty straightforward. 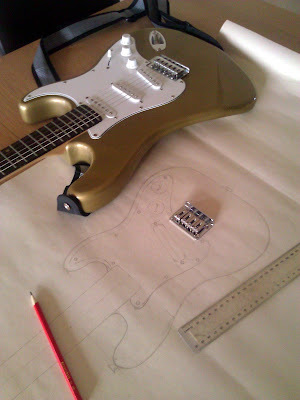 I’ve decided in the end to go with a fairly standard strat shape for this project. I’m using one of my favourite guitar’s as the basis (one that I talked about some time back when I restored it and turned it gold). This guitar is simply a dream to play! But more importantly it’s something that I have to hand to help me to figure out measurements. As a starting point I measured the scale length of the guitar. Then knowing the scale length I was aiming for I was able to figure out the ratio I would need to apply to convert a guitar measurement into a ukulele measurement. That was enough to get me to my first draft pattern. Just out of interest, the Tenor Uke I’m making is approximately 68% of the size of my guitar, so all the measurements of the uke started out as being 68% of the equivalent guitar measurement. Does that make sense? I quickly went on to sketch out the body and this really hasn’t changed much as I’ve gone back to refine the pattern. All of this has been drawn out on a length of blank backing wallpaper I had knocking around. that this is one of my better ideas! possible. 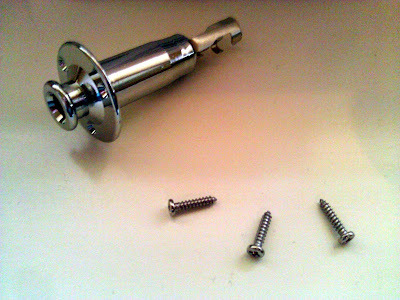 The single pickup means I only need one tone knob which helps. give it a bit more punch! I got lucky with the bridge. A great man by the name of Julian Davies was kind enough to donate me a custom-made uke bridge! Fantastic! Thanks Jules! This allowed me to do phase two of sketching out my pattern. Where phase one was all about length, phase two was all about width. than it might have been if I’d simply scaled down the guitar dimensions. 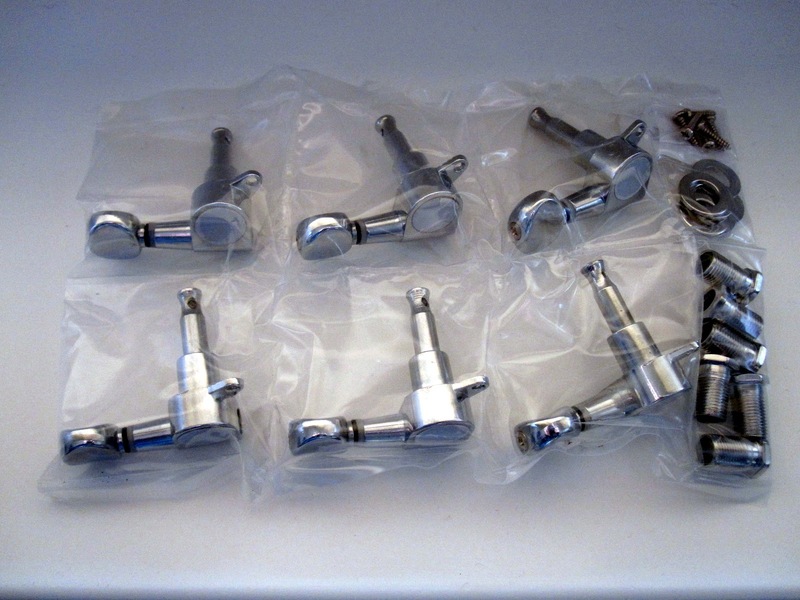 to figure out where I wanted the tuners to be. when you say the soprano scale length is 33cm do you mean just the neck only or both the neck and the body? Hello Jeremy – sorry for the delay in replying. Imagine a line running from the head right down the middle of the neck through the body. The scale length is the length of the strings between the nut on the head and the bridge on the body. Does that make sense?